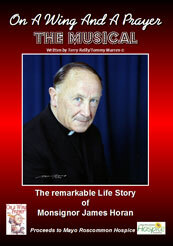 The remarkable life story of Monsignor James Horan of Knock and his many feats -and now the DVD! The extraordinary true story of a ‘simple, country priest in a hurry’ with a dream to build an airport on a ‘foggy, boggy hill’ in County Mayo, brought to the stage for the very first time. 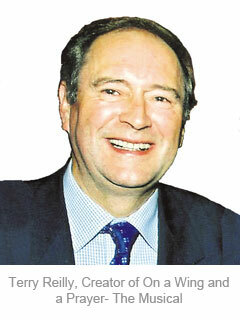 ‘On A Wing and a Prayer’ – The Musical’, based on the book of the same name, tells the story in word and song. The world premiere, specially adapted by Terry Reilly and Tommy Marren, took place in the TF Royal Theatre, Castlebar from November 25-27, 2010 – It was back again back by popular demand for three nights in January 2011, and two hugely memorable nights in May, 5 and 7 to mark Monsignor Horan’s centenary of his birth in 1911! All eight shows attracted sell-out attendances despite some atrocious weather conditions. 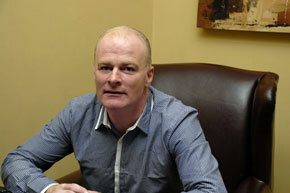 Proceeds in aid of Mayo Roscommon Hospice Foundation. 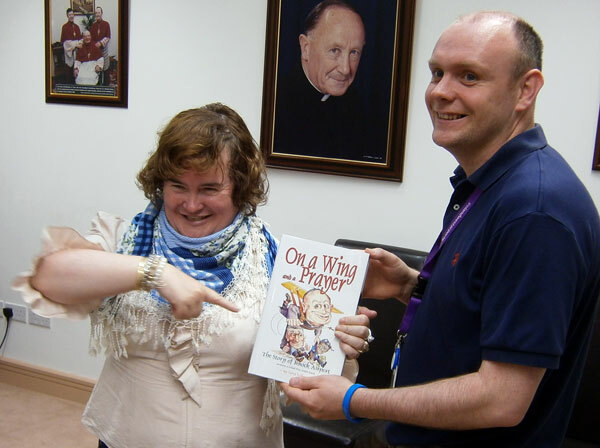 To get the On A Wing and a Prayer Musical DVD shot on location around the West of Ireland and featuring many of the original musical numbers and all the great cameo moments see local outlets on News Page, or order on www.hospice.ie (complete with paypal facilities). Just click on DVD image (left). Also click on http://www.facebook.com/pages/On-a-Wing-and-a-Prayer/149664825052658 for regular updates. May 2011 shows were held on Thursday, May 5th, & Saturday, May 7th, at 8o’c nightly. These two special shows marked the centenary of the birth of Monsignor James Horan. The performances co-incided with the launch of a spectacular DVD featuring the Musical On A Wing and a Prayer and the remarkable life of Monsignor Horan. A must-have! Tell your friends about the magnificent DVD! Send a lovely present abroad! Spread the word!! See DVD trailer and how to order details above. 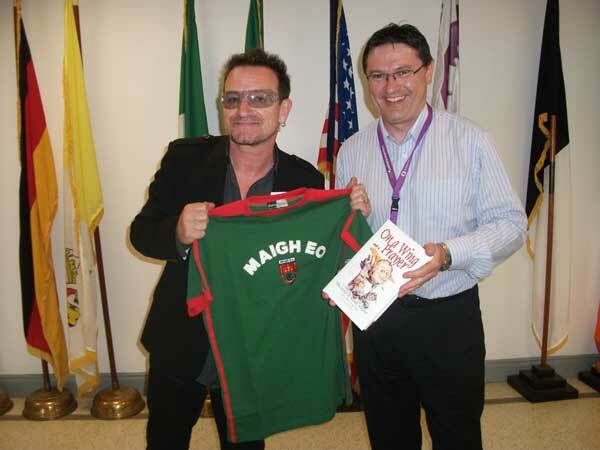 U2's Bono receiving a copy of On A Wing and a Prayer by Terry Reilly at Ireland West Airport Knock, August 2011 from Airport CEO Joe Gilmore. Pic courtesy Donal Healy. 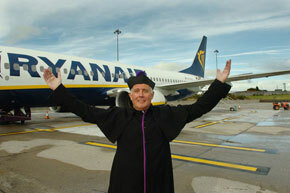 Ollie Rouse, who plays an older Monsignor James Horan in on A Wing & A Prayer, The Musical, pictured at Knock Airport.